#Consider "Vote for a person, not the party." Machakos Kamba elders insist. - Bana Kenya News, Real African Network Tubanane. Home Nairobi #Consider "Vote for a person, not the party." Machakos Kamba elders insist. #Consider "Vote for a person, not the party." Machakos Kamba elders insist. The Machakos people have warned the Wiper gubernatorial aspirant Wavinya Ndeti for harassing governor Alfred Mutua. The majority of people in Machakos claimed not to be influenced by the party and reminded to think about her constituency. 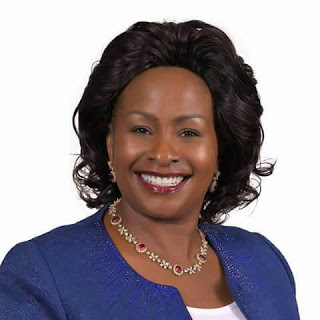 Wavinya who ditched her CCU party to Wiper has been warned by the people of her county that Machakos residents will not vote for a party but for the individual. There has been a fight over the Wiper nomination certificate which the Deputy Governor Bernard Kiala and Ndeti have been fighting. The Machakos Senator Johnstone Muthama has been seen publicly denying that there was no democracy in the wiper nominations in Machakos. Some people have been looking at the current governor as a fake leader because of how he defended the Government when he was the spokesperson. "Making sense of the fake Alfred Mutua tears in Machakos Stadium last weekend because of the poverty and suffer in Ukambani. Some years ago he was not feeling this pain as the then Government spokesman, there were abject poverty and lives were lost in Turkana, Kenyans of goodwill came out in their droves and contributed. Yet Alfred Mutua is on record as saying that there was no poverty and no lives were lost. He did not cry"
"So someone please remind me when you saw Mutua on a horseback heading to Damascus and when the revelation came to him to weep because of poverty in Ukambani. This theatrics and lies must be curbed." residence depicted his foul cry from the governor on the prayer day. The people of Machakos will have to critical think of the next governor reminding themselves about the past of the current governor and his association with Jubilee through his party Maendeleo Chap Chap (MCC).